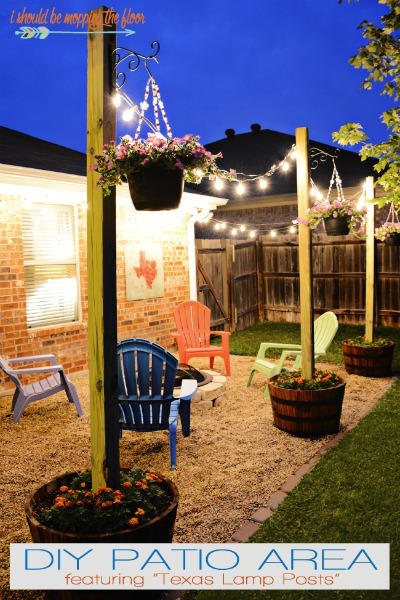 Looking for a night patio escape? 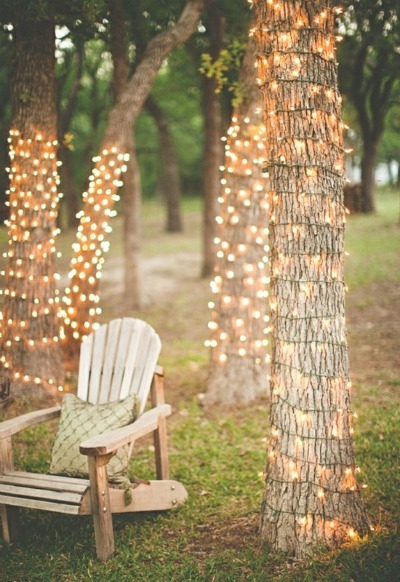 We have some ideas to add the sweetest ambiance to your backyard retreat. 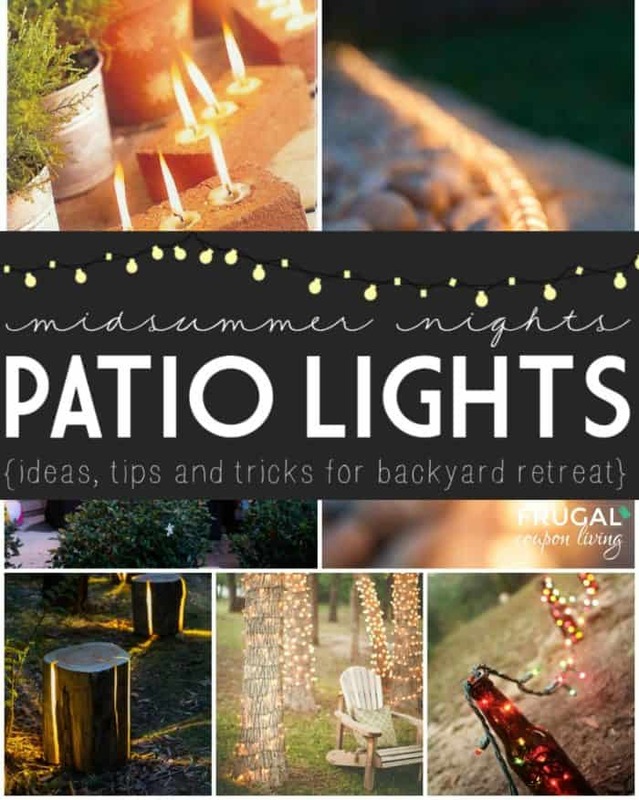 These midsummer night patio ideas are perfect, frugal, and family friendly. Learn how to best light a path, recycle glass bottles for beautiful accents, learn an incredibly creative way to light up an old log, and more. 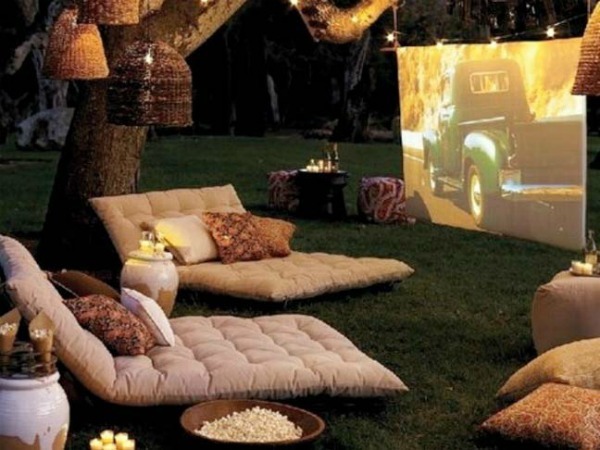 Turn your Backyard into a Movie Theater with lights for warm setting. Image Source. 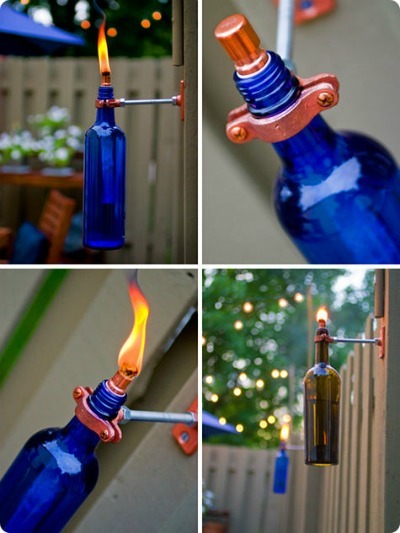 Upcycle those Old Wine Bottles into Torches. Idea from Design Sponge. 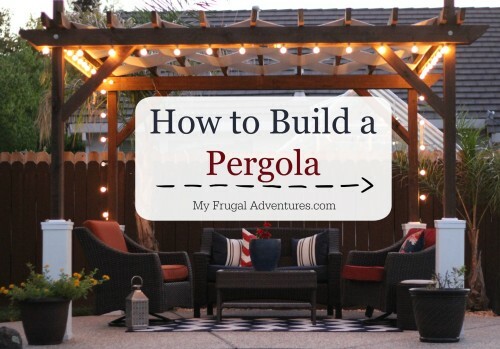 Transform your backyard escape with a Pergola. Tutorial on My Frugal Adventures. Loving these bricks. 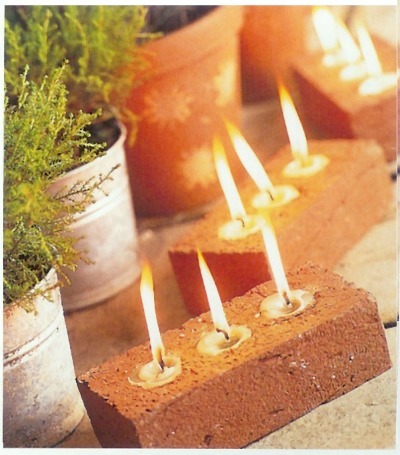 Turn recycled bricks into candles.Image Source. 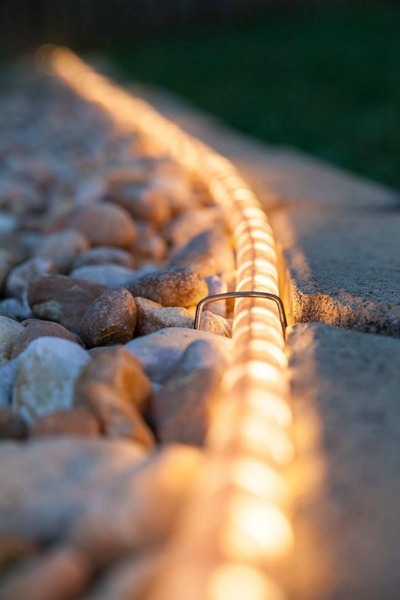 Illuminate a Walkway with Rope Lights like this idea from ChristmasLightsEtc.com. 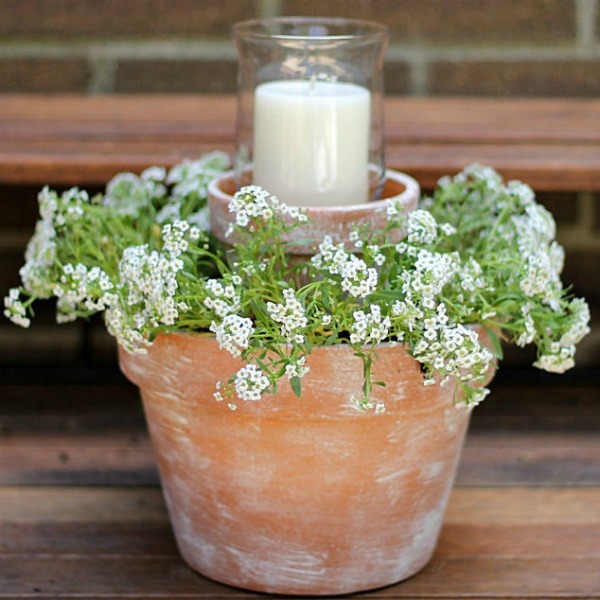 Create a warm and soft ambiance with this Flower Pot Centerpiece from Garden Matter. 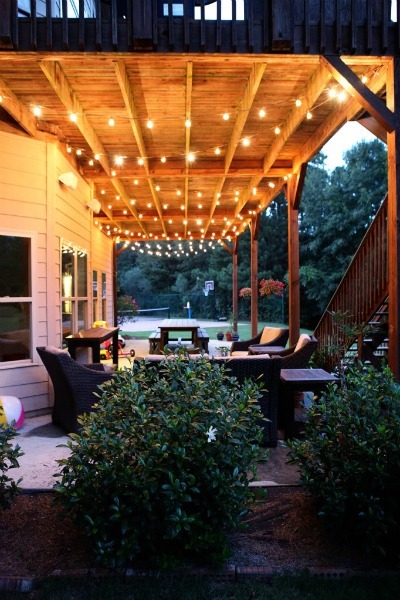 The dull and dark place under a back deck and brighten up with lighting and furniture. We love this patio retreat from Bower Power Blog. 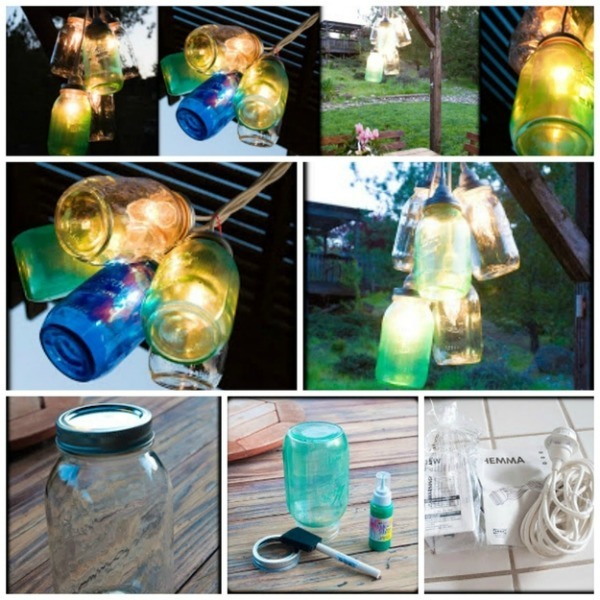 Turn Wire Baskets into Garden Globe Lights with this idea from Curbly. 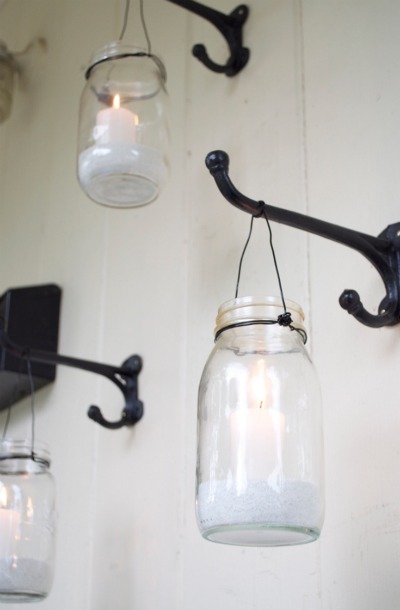 Stay frugal and Hang Mason Jar Lights for a beautiful “fixer upper” look like this idea from Home Depot. 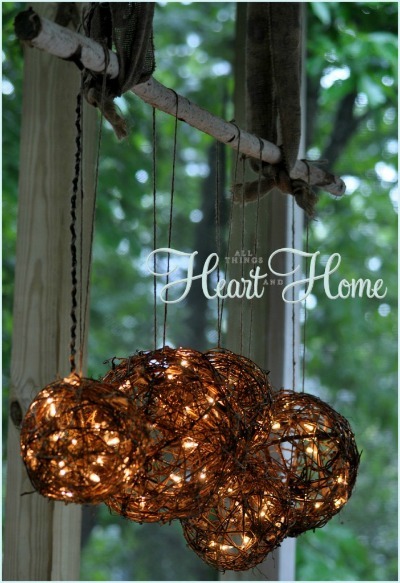 Make your own Outdoor Chandelier with Christmas Lights and Grapevine Balls from All Things Heart and Home. 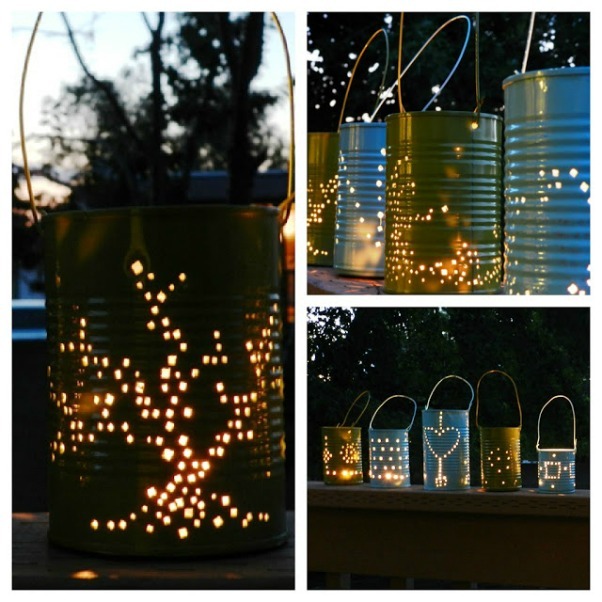 Craft a tin can for a whimsical glow. We love this idea from Grow Creative. 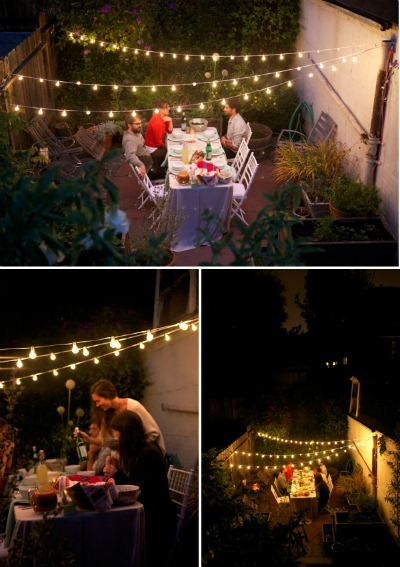 Even the smallest patio can soften with a Strand of Globe Lights. We love this idea from Oh Happy Day. 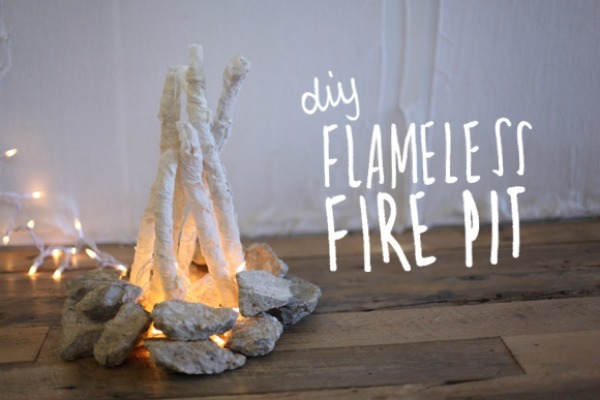 Worried over a fire pit or real fire, make this DIY Flameless Fire Pit from Free People. 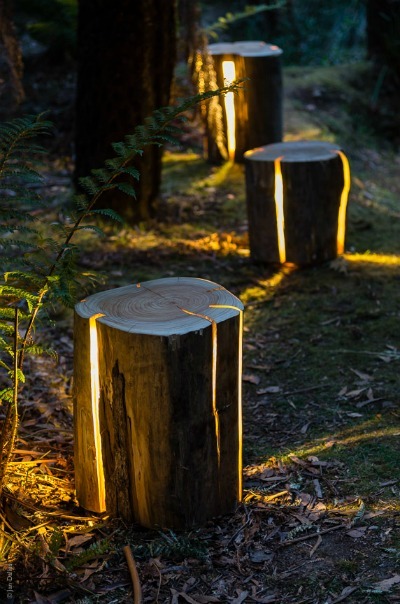 Make your own Recycled Log Lanterns from Duncan Meerding on Recycled Interiors. 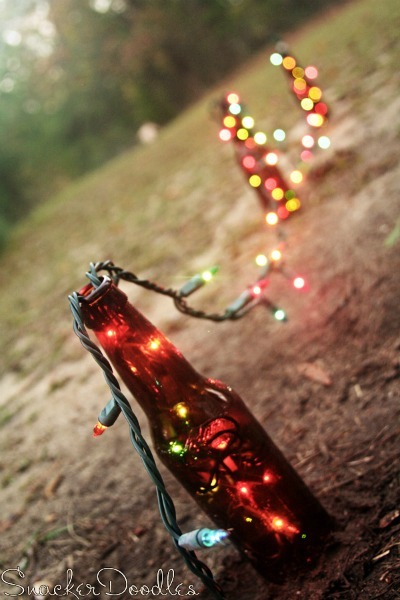 Create a walkway with Christmas Lights and Recycled Beer Bottles like Snacker Doodles. Create your own retreat like this Patio Area with Potted Lamp Posts from I Should be Mopping the Floor. Light up recycled lanterns like Michele’s Apples. 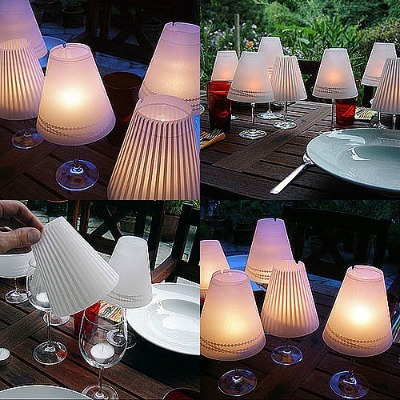 Turn Wine Glasses into Lanterns like this idea from PopSugar. 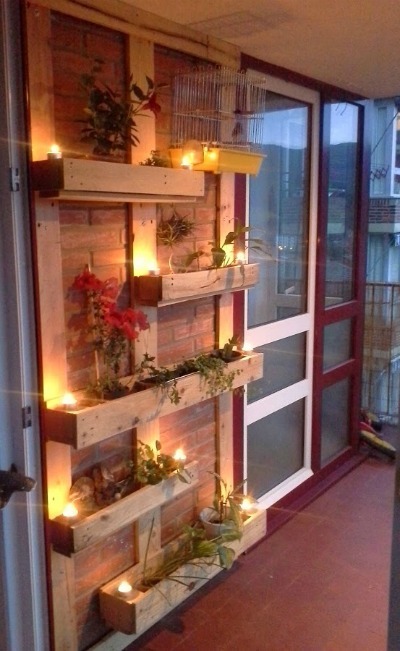 Recycle Pallets into Planters with Lights. Image Source. 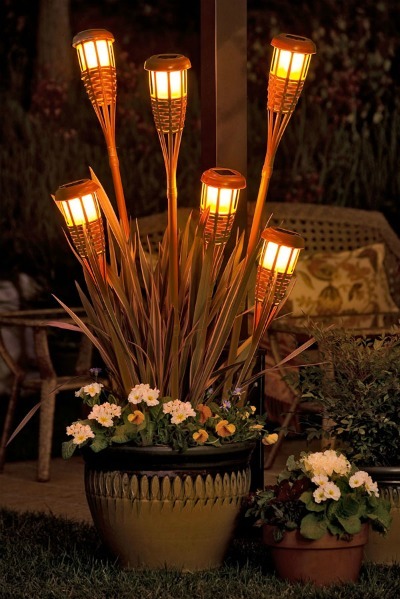 Take a Planter and add Tiki Torches like this idea from The Urban Homestead. Getting ready to enjoy some time outside. Enjoy these Fun Summer Ideas for Kids. Pin to Pinterest. Don’t just take care of the back porch. 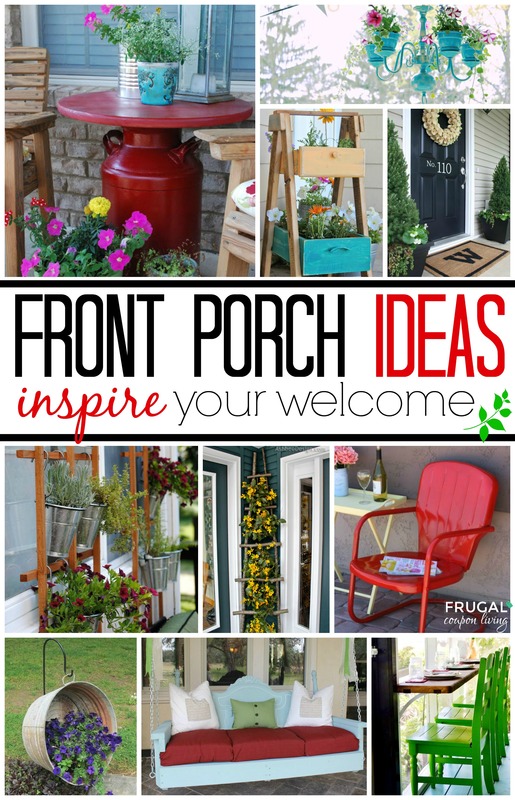 Also enjoy these Front Porch Ideas. Pin to Pinterest.